Before the advanced Porsche 918 and the insane Carrera GT, there was the Porsche GT1 racecar. Only 25 road cars of the famous racer were produced, but this example at Goodwood is actually a converted street legal racecar. 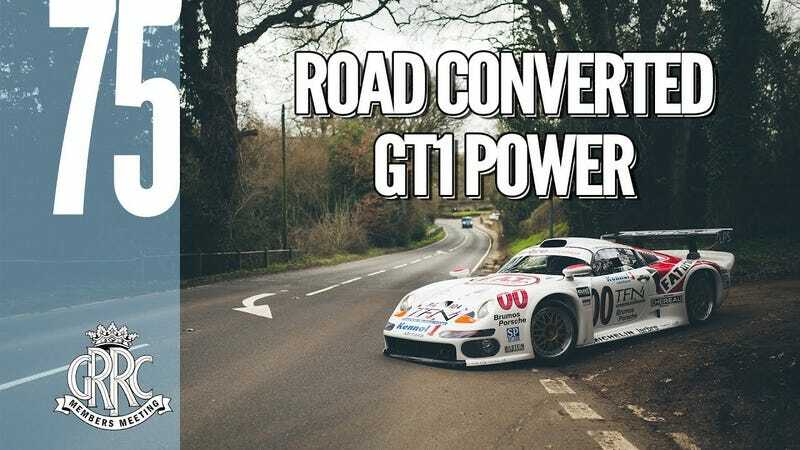 The car was powered by a 600 horsepower 3.2-liter flat six that when wound out had very distinctive “turbo-chirps.” While “only” 600 HP may not sound all that impressive in today’s world of 1000 HP hybrid-hypercars, the GT1 only weighed about 2200 pounds. The car featured in the video below for Goodwood Road And Racing was once a pure competition car, now converted to be driven on the street. Among the modifications are the addition of catalytic converters, softer springs, and road legal tires.